Snoozies are neither socks or slippers – instead they are a cross between the two. These cute snoozies will definitely cheer up your day. snoozies are made with a brushed Fleece exterior. snoozies are lined with a soft warm Sherpa Fleece which ensures great comfort for the wearer. Wide range of colourful & fun printed patterns and designs to choose from. 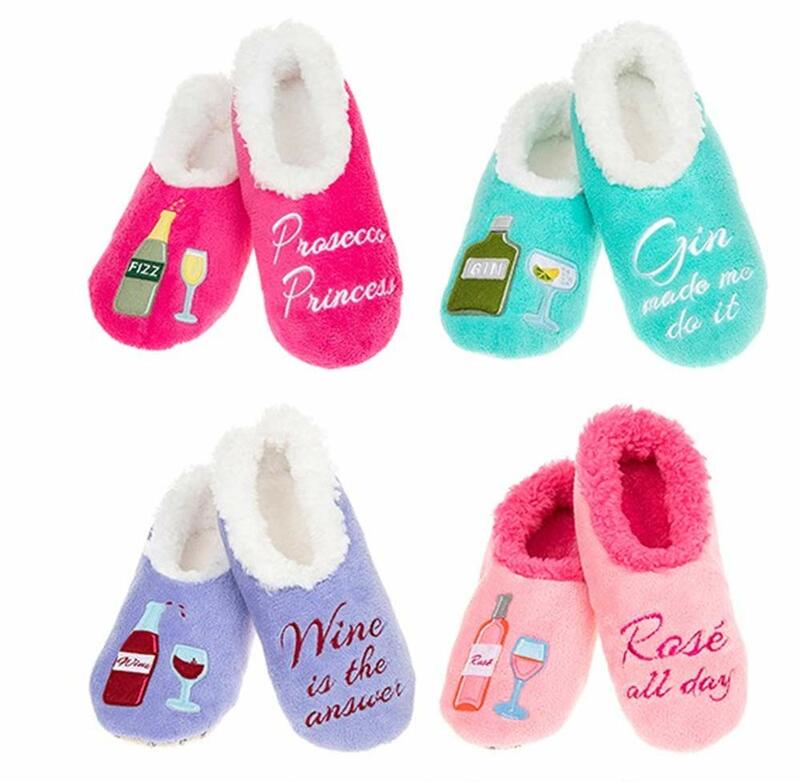 snoozies are bang on trend right now… a brilliant alternative to traditional slippers. Non-slip base are safe on all floors including wood and tile floors. They are a suedette base covered in tiny silicone dots. Kind to feet. Cosy, comfy and snug – for cold days and warm days too! snoozies make great gifts and a ‘me too please’ treat will not break the bank. You will adore them. Perfect for Christmas or Birthdays alike. And to top all that… they are machine washable and will not shrink. Kind to feet. Cosy, comfy, snug and warm. snoozies make great gifts and a ‘me too please’ treat will not break the bank. Perfect for Christmas or Birthdays alike. You will love them – but beware – snoozies are habit-forming! Fun… and bang on trend! And if that’s not enough they are also machine washable and will not shrink!